Lord have mercy on us and forgive them for they know not what they do. Please vist http://www.abort73.com/ for more information. Posted in All Posts, Apologists, Ethics, Pro-Life, Rand Wagner, TLblog, VideoBookmark the permalink. It is so wrong, and so hurtful for anyone to want to EVER get an abortion, or to even consider it. Life is great. Babies are the most innocent beings. 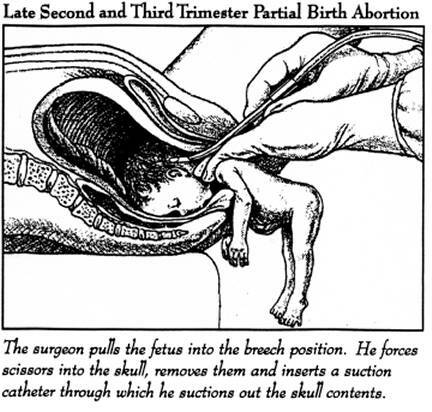 They did not ask to be conceived, they did not ask to be put in such a position, they did not ask to be put to death. We have to speak for these little babies. For they do not speak for themselves. We have to make the right choices in life, stop and think to ourselves before doing something “Is this right?” I pray that everyone in this brain washed world would just comes to their senses and realize that babies DO feel pain. Just like they feel emotion. Sadness, happiness, anger the list goes on. So tell why abortion is right? Tell me!! Please people stop this manslaughter madness!! Every time a baby is aborted….God cries. God Bless all those innocent little babies, and may they dwell happily in the heavens above, for they will be loved and cared for by many angels.